Cody Andrew Kretsinger, a 25-year-old man from Decatur, Illinois, was sentenced Thursday to one year in federal prison for his role in a May 2011 breach of a Sony Pictures website and database. At the time of the intrusion Kretsinger, who used the online alias "recursion," was a member of a hacker group called Lulz Security, or LulzSec, that went on a hacking spree during the first half of 2011. The group was affiliated with the international Anonymous hacktivist collective. LulzSec took credit for hacking into the Sony Pictures website and leaking customer data stolen from its database on the Internet. The leaked information included names, addresses, phone numbers and email addresses. Kretsinger was arrested in September 2011 and pleaded guilty to computer hacking charges in relation to the Sony Pictures attack in April 2012. On Thursday, the 25-year-old was sentenced in the U.S. District Court for the Central District of California to one year and one day in prison, to be followed by one year of home detention. U.S. District Judge John A. Kronstadt also ordered Kretsinger to perform 1000 hours of community service and to pay US$605,663 in restitution. Another former LulzSec member, Raynaldo Rivera, known online as "neuron," pleaded guilty in October 2012 to conspiracy charges in connection with the same attack. He is scheduled to be sentenced by Judge Kronstadt on May 16. 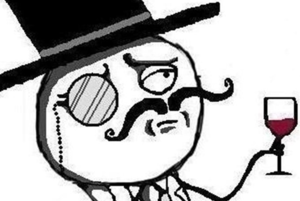 Hector Xavier Monsegur, the former leader of LulzSec, who used the online alias "Sabu," was secretly arrested in June 2011 and agreed to act as an FBI informant. He is believed to have played an important role in the identification and arrest of other members of the group. Monsegur pleaded guilty to hacking offenses in relation to the group's activity and was supposed to be sentenced in August 2012. However, he has been granted two adjournments since then and is now scheduled to be sentenced in August 2013. Monsegur faces a maximum sentence of 124 years in prison, although he is expected to receive only a fraction of that due to his cooperation with the FBI.